Home :: Coffee & Tea :: Rey :: 10-pack Coffee Rey Selecto LOW SHIPPING! 10 Pack (10 x 1.1 lbs) with LOW SHIPPING option, save 20%. Selected from the Central Valley. Specially prepared for pure coffee consumers, this coffee excels for its balance and delicate taste. To produce this fine product, coffee experts have selected coffees from the best growing regions. Their commitment is to find beans which represent the most valuable coffee caracteristics of each region. 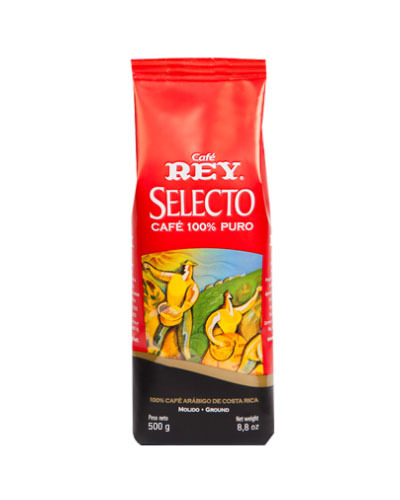 CafÃ© Rey Selecto brings you all the aroma, body and flavour; for which Costarican Coffee is known worldwide.